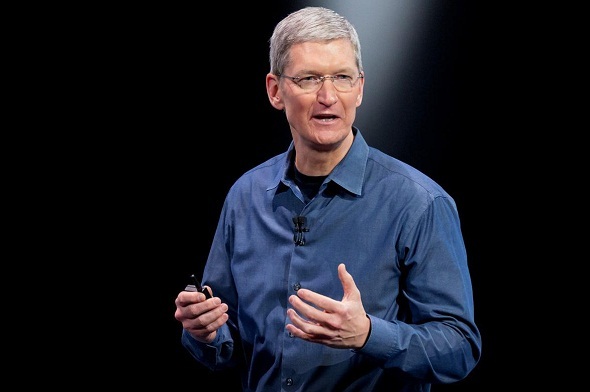 Apple's Tim Cook pledged to generate sufficient amount of energy through Renewable Energy source in China. On Monday, CEO of Apple Inc. Tim Cook pledged to generate sufficient amount of energy through renewable energy source in China’s manufacturing plant, to power its global operations. Apple, is partnering with WWF which happens to have one of the largest energy manufacturing plants in Sichuan province of China. The company has disclosed a new multi-year project with the World Wildlife Fund, to protect up to one million acres of working forest farms with the intent to provide fibers for paper, pulp, and wood products. Apple aims to produce more renewable energy from its wind, bio-gas, fuel cells, solar, geothermal and small hydro-power plants. This energy producing hub is equivalent to 87 per cent of its global operations. The company aims to achieve a net-zero impact on the world’s supply sustainable virgin fiber. Further, it has committed to generate the sufficient amount of energy to power its worldwide operation on 100 per cent renewable energy source. Apple revealed that with the inclusion of its supply chain plant, which generates thousands of millions of its products every year, will be a tough task, as the supply chain plant uses roughly 60 times as much power as of Apple’s own facilities. Apple’s Chief Executive, Tim cook said that the project will not be accomplished overnight, and added that it will take a few years. Previously, Apple had plotted a project plan in China to proliferate its amount of renewable energy. But, the company was criticized by huge environment impacts made by its manufacturing plants, in terms of the amount of carbon energy used and polluting the environment. Lisa Jackson, Apple’s vice president of Environmental Initiatives said that forests also could be renewable resources and operations could run on naturally renewable resources and ensure that the sustainable working forest is protected and created as needed to manufacture the virgin paper in product packaging. This is a significant step toward that goal and commitment, she added. This time, Apple with its new initiatives, endeavors to improve its environmental track records in China that is company’s largest overseas market, and serves as the base for most of its manufacturing units. The company expects that its new clean energy project, will generate far more renewable energy that demands to power all of Apple’s retail stores and corporates offices in china. Apple declared its first major project of solar energy in China, to build two 20-megawatts solar farms in Sichuan province in China with its partners. A similar project was declared by Apple in last month, where a major solar project was built in Maine and North Carolina. Apple is partnering with Sichuan Development Holding Co. Ltd, Leshan Electric Power Co., Tianjin Zhonghuan Semiconductor Co. Ltd, Tianjin Tsinlien Investment Holding Co. Ltd, and SunPower Corporation on the project encompassing two 20-megawatt solar farms. Apple is coming up with a 40-megawatt solar farm in Sichuan Province, together the project will produce up to 80 million kilowatt hours per year of clean energy, which is sufficient to power the equivalent of 61,000 Chinese homes. Apple’s solar projects were carefully designed to minimize ecological impact and protect the forest grasslands, which supports the yak population that is significant to the local economy. Today, 87 per cent of Apple’s worldwide operations run on renewable energy. The CEO of WWF, Lo Sze Ping said that Apple’s initiative for protecting the environmental footprints is not only good for population, but also significant for its business. He added that our partnering with Apple will seek to diminish the ecological footprints by helping to produce more wood from responsibly managed forests within company’s own border. This is necessary, as the manufacturing plant in China, ranks as the largest timber provider in the world. Thus, Apple, by partnering with other firms, hopes to catalyze a new model of corporate leadership in promoting sustainable forest -land management, and pledges to use paper resource more responsibly and efficiently around the world.